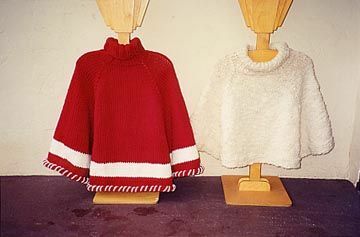 Here is a companion to the capelet, Pattern 48. This time we have points and an opening at the neck. This pattern can be for a child to large adult.